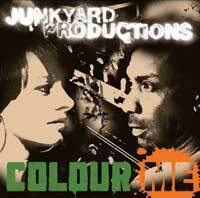 New Junkyard Productions album out now. Vincent Van Go Go will be touring from April 2008. Check out the tourdates here. F.U.K.T will have their live debut in London and Bristol this weekend. They will play Clockwork Club in Bristol on Friday 4th and Rhythm Factory in London on Saturday 5th. Listen to SlowTrainSoul on Italian Radio "Rai Duo"
Listen to SlowTrainSoul live on Italys Radio 2 tonight on Monday April 30th at 9.30 - 10.30 (Italien time) here. Listen to Vincent Van Go Go on UK´s BBC Radio. Listen to Vincent Van Go Go live on BBC from one of their now legendary street performances at the SXSW festival in Austin, Texas here. 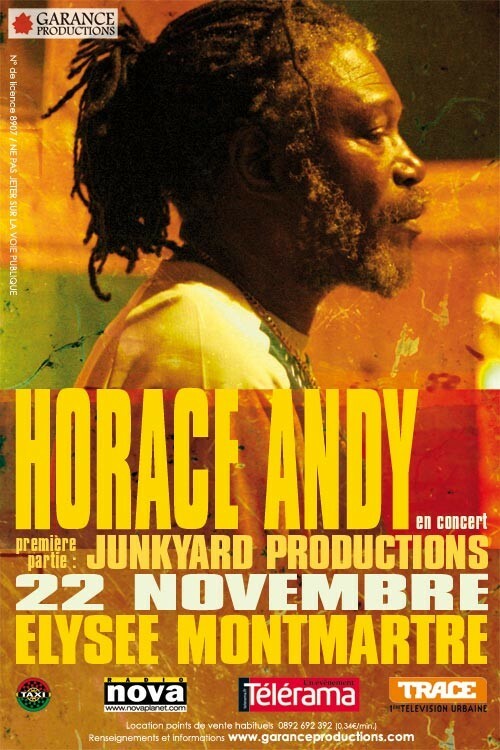 Junkyard Productions just played to succesful gigs in Paris. Friday 26th they performed for one thousand people headlining at the Radio Nova show at La Bellevilloise. The show was transmitted live on Radio Nova. Please join us for the Varano Music Nights this week. Line-up this year is Slowtrainsoul, Vincent Van Go Go, Junkyard Productions and Los Chicharrons DJ set..
Slowtrainsoul has just returned from Los Angeles performing live at three shows with Slowtrainsoul at temple bar and Zanzibar. Morten is currently in Paris recording two song with Stéphane Pompougnacs (hôtel costes) for his forthcoming new album. Upcoming live shows! Please join us for the Slowtrainsoull concerts on Nov 22nd at the Jazz Café, London and Nov 23rd - 25th in Denmark at the Varano Music Nights with Vincent Van Go Go and Junkyard Productions. Junkyard Productions are remixing All Saints on the first single "Rocksteady" taken from the forthcoming album. Rasmus Allin from the band has also written two tracks together with Shaznay Lewis that might be included on the album. Slow Train has changed name to Slowtrainsoul worldwide. Morten Varano and Lady Z has just finished the album "Santimanitay" to be released October 2nd. Listen to four tracks on the Slowtrainsoul Myspace profile here. Morten Varano will perform live as Varano instead of Slow Train at the Spot Festival in Aarhus on June 3rd. Line up will be: Morten Varano (Keys & FX), Nabiha Bensouda (Vocal), Anders Meinhardt (Drums) & Tira Skamby (Percussion). Lady Z is currently in Trinidad and couldn´t make it back for the concert. Slow Train will perform live from October 2006 after the second album is released. Dynamoe is #1 on the electronic download chart and #50 on the official downlad chart. Vincent Van Go Go "Do U Know?" will be released in Australia May 21st on Big Records/ Rajun Music. "Girls" is #91 on the danish airplay chart. Do U Know? will be released in France on Le Maquis March 15th. VVGG will play Favela Chic March 9th and at at the Radio Nova Party @ Nuit Zebree @ La Scene Bastille on March 10th. Morten Varano is nominated for a Danish Music Award in the urban category for "Step Up"
Please welcome our new signing. F.U.K.T who has just signed a deal with Murena Records. We are looking forward to be working with this great danish Drum'n'bass live band. Album out April 2006. Trail Of Dawn (Varano´s Hotel Of Dawn Remix) has just been licensed to CSI Miami. It was the opening track on this seasons first episode. Morten Varano has just returned from Mali in Africa with vocal recordings for a forthcoming Los Chicharrons single on Voodoo Recordings. Featured vocalists are Saramba Koyaté & Traora Nampe Sadio. The instrumantal tracks was recorded in London together with Ramon Santana during September 2005. Morten Varano and Lady Z are currently in Santa Monica, L.A recording the second Slow Train album "Sans Humanity". Slow Train will do a few shows while being in L.A. Wednesday 21st at Club Moscow @ Boardners, Friday 23rd at The Milk and October 2nd at Temple Bar. Please welcome the new signing Vincent Van Go Go. The first 7" single "Do U Know?" is out now in Denmark. To be released in the UK September 26th. The debut album will be released January 2006. Money Your Love will be supporting Junior Senior on their tour in Denmark. Step Up is released today in Australia on Big Records. If you live in Australia order your copy here! Step Up is released in the UK through Kudos Records. Varano concert at VEGA June 3rd available for download on CDON. Live album from the VEGA show June 3rd is available for download at CDON.COM (Denmark only). Check it out here! Video for "Leaving My Troubles Behind"
Coming Home is now released in the rest of Europe on EDEL Records/ Content. - B&B International Soundsystem will be supporting on selected show. Please check the tour section. Step Up is released in Denmark. Available at your local record dealer! Please welcome the our new signing Junkyard Productions. "Sister Let Him Go" has previously been released on Radio Recordings II and will be released on Murena Records on 12" vinyl with various remixes. We are really pleased to announce that the www.varano.dk (formerly known as Puddu Varano) website now have a new look.Varano will be touring from March 26th. please check tourdates in the tour section. Slow Train Soul picture from Radio City Music Hall. 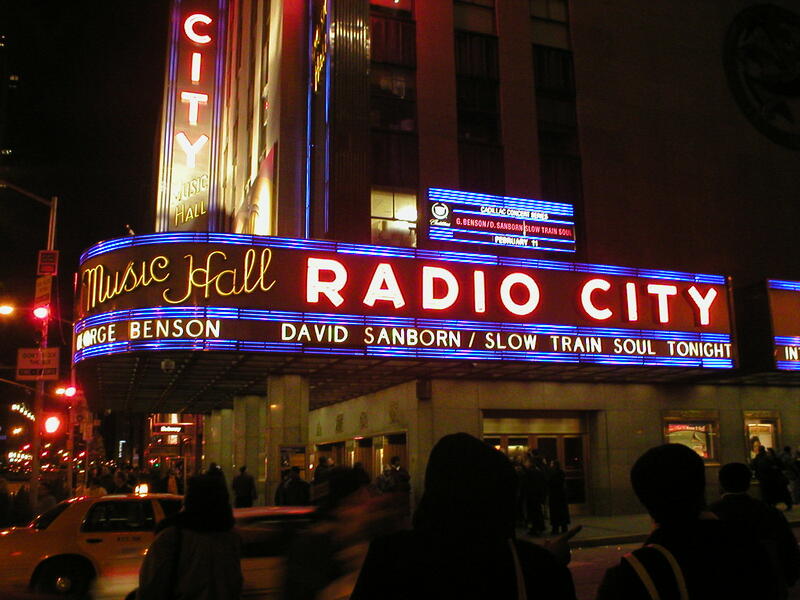 Slow Train Soul will play Radio City Music Hall together with George Benson & David Sanborn on February 11th. for the NY radio Station CD101.9. Listen to the final mixes from the forthcoming album here. Thanks to everybody that supported the Varano Music Nights at Vega, Copenhagen, Studenterhuset, Aalborg and Voxhall, Aarhus. You made it truly some memorable nights!!! Vincent Van Go Go "Do U Know?" and Dynoe: "Coming Home" will be released in Australia May 21st on Big Records/ Rajun Music. "Leaving My Troubles Behind" in no. #8 on Studentradion in Sweden. Step Up feat. Wunmi 12" is now #17 for two weeks on the Zzub chart in DMC update .. Check out the review in iDJ here and DJ reactions here. Step Up is record of the week on Payload. You can puchase the album already now here. Including the bonus track "I´ve Got To Have You" featuring Diane Charlemagne. Only available on Payload in Denmark! Please welcome the our new signing Junkyard Productions. "Sister Let Him Go" has previously been released on Radio Recordings II and will be released on Murena Records on 12" vinyl with various remixes. Slow Train Soul at Radio City Music Hall. Final tracklisting for the forthcoming Varano album: Step Up. Slow Train Soul on New York Chill. Naturally is #15 on the playlist of CD 101.9 in New York. Slow Train included on Hotel Costes 7 and Saint Germain Des Pres Caf� 5. We are happy to announce that Slow Train is again included on the prestigious Hotel Costes compilation. This time it�s an unreleased Varano remix of "Trail Of Dawn". On Saint Germain Des Pres Caf� 5 it�s an unreleased Varano remix of Inna City Woman.